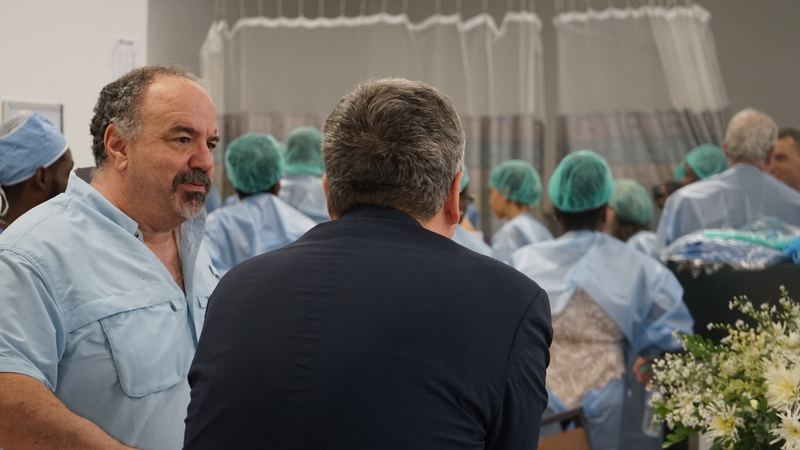 Photo Caption: BHI Managing Director Jim Ansara and St. Boniface Haiti Foundation CEO and President Conor Shapiro observe the inauguration of the new St. Boniface Surgical Center in August 2017. 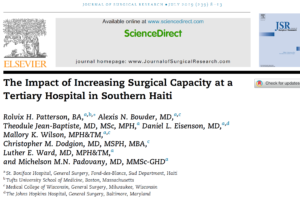 Build Health International congratulates our friend Rolvix Patterson and his research team on their recent publication to the Journal of Surgical Research (JSR). Patterson et. al. chronicle 3-phases of efforts to expand surgical capacity at BHI’s longtime partner, St. Boniface Hospital in Fond-des-Blancs, Haiti, and the life-saving impact that this has had on patient health outcomes. These efforts included the construction and equipping of 3 operating suites by BHI, in addition to improved staffing and resourcing of the surgical center, between 2015 and 2017. Patterson found that among other impacts, investment in local surgical staff, supplies, and facilities led to an increase from 3 to 20 general surgical cases in an average week, with no significant increase in patient mortality (indicating that patient safety remained high). This research provides compelling evidence that addressing the need for quality health infrastructure in Haiti and abroad can help realize the fundamental human right to universal health coverage, including access to safe and dignified surgical care. Patterson et. al.’s article is available online to subscribers and will be included in the printed volume of JSR in July 2019. Read more about BHI’s role in the construction of the St. Boniface Surgical Center on our site.